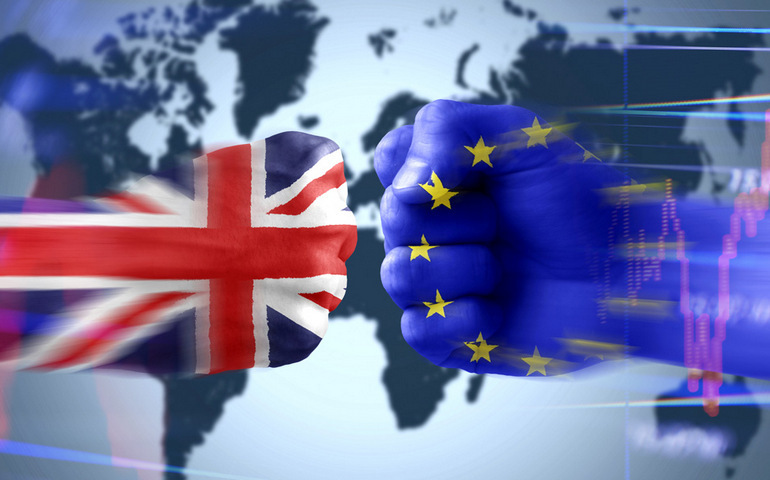 The upcoming United Kingdom referendum, or “Brexit” vote, that will decide its fate within the European Union has caused a lot of market headaches, especially among bank stock and financial sector-related exchange traded fund investors. The financial sector is among the most at risk if the U.K. decides to part ways with the European Union. Fro instance, according to a recent Keef, Bruyette & Woods research note, banks would have to raise administrative expenses, add on regulatory costs, cut staff and potentially take a temporary earnings hit if British voters approve the Brexit on June 23. Specifically, a leave vote would cause big banks to transition U.K. staff to cities in the E.U. to meet regulatory requirements. Meanwhile, in the U.S., costs would increase and capital market activity could decline. KBW argued that the Brexit would be the worst-case scenario for stocks and companies with E.U. and U.K. exposure since a leave vote would lead to contagion fears and depressed growth. Banks could experience lower revenue and higher expenses in the fallout, exacerbating conditions for the financial sector, which has been tackling years of increased regulations, spikes in litigation fees and depressed interest rates since the financial downturn.